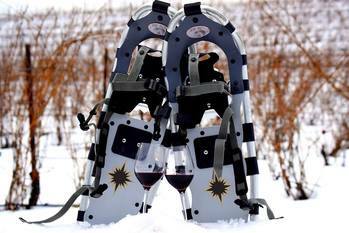 Have your own snowshoes? You are welcome to explore the beautiful trail system anytime! 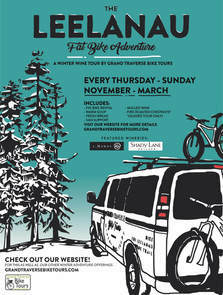 Join us for the most unique winter wine country adventure. Roll down the groomed Leelanau Trail to two boutique wineries. To aid you in your winter fun we will pick up your wine, bring you lunch to warm up and enjoy overlooking the vineyards. Led by one of our local guides to keep the fun rolling and to roast you chestnuts. Reserve your tour today, space is limited. Must be 21 years of age to attend.